Who on earth doesn’t like chocolates? As children, we all had our chocolate fantasies. Gradually as we grew older, we began to cut down on our chocolate consumption realizing its health implications. But that hunger for a bar of chocolate kept gnawing our soul time and again. However, there is good news for all you chocolate lovers out there. 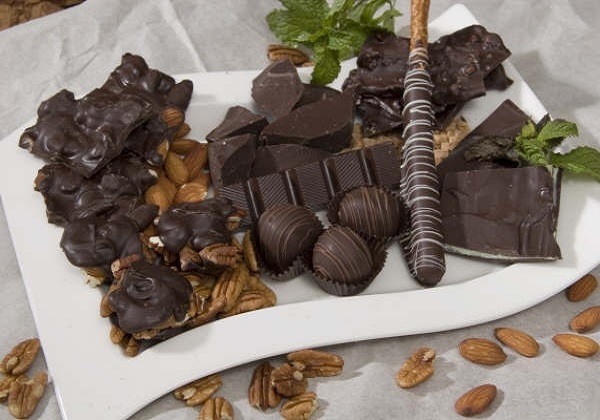 There is reason to rejoice as continuing research in this field has established the fact that dark chocolate, taken in moderation is beneficial to us, especially our heart. What sets dark chocolate a cut above the rest is the presence of flavonoids. Cocoa is rich in a class of compounds called flavonoids which protect the body against various illnesses. While unprocessed cocoa contains about 85-90% of flavonoids, dark chocolate contains about 45-80% flavonoids. In contrast, milk chocolate contains only 6-7% of flavonoids. When choosing a dark chocolate follow a simple thumb rule – the darker the chocolate, the better it is for you. 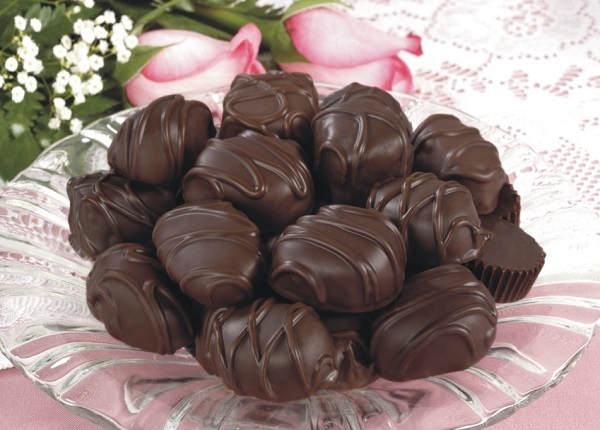 Ideally, choose chocolates with 70% or more of cocoa content as they deliver the best result. The flavanols contained in dark chocolate release nitric acid into the blood which relaxes the blood vessel walls as well as opens them wider. This enables the blood to flow more freely putting less pressure on the walls thus reducing blood pressure. Chocolate, especially dark chocolate contains theobromine, a component which has a dilatory effect on the blood vessels. This helps in considerably lowering the blood pressure. 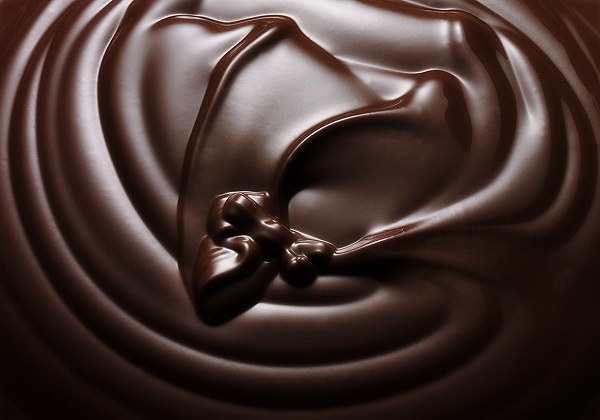 This makes it a good excuse for chocoholics to even consume more chocolate. It is a well-known fact that free radicals cause untold damage to the body. Free radicals are extremely active molecules which tend to attach to healthy cells in our body and change their basic cellular structure thus making us prone to many serious diseases such as heart diseases and cancer. They are also linked to speeding up the ageing process. As we age, our body’s natural fighting ability against free radicals decreases giving them a free run through our bodies and allowing them to cause untold damage to our system. Antioxidants perform a variety of tasks to neutralize the harmful effects of free radicals. Not only do antioxidants prevent the formation of free radicals they also develop the body’s inherent immune system to fight the free radicals. Dark chocolate is absolutely choc-a-block with antioxidants notable among them being polyphenols, flavanols and catechins. Unprocessed cocoa contains the highest amounts of antioxidants. The more cocoa is processed, the more it loses its antioxidants. 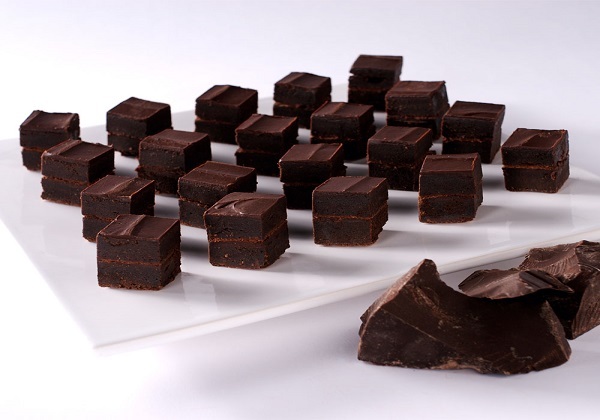 Dark chocolates undergoes less processing ensuring that they contain more flavonoids than their whiter counterparts. It is argued that dark chocolate is very good at protecting the heart. 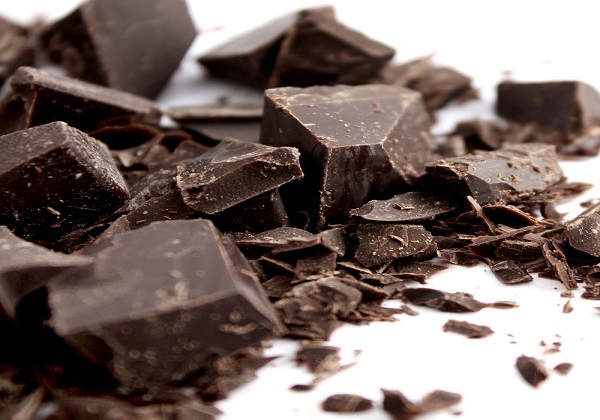 Dark chocolate is healthy for the heart as it contains flavonols. High levels of cholesterol and fat in the blood can lead to the deposition of a sticky substance called plaque on the artery walls leading to a condition called arteriosclerosis. The arteries narrow down and the blood flow to vital organs is restricted leading to numerous life-taking coronary diseases. However, antioxidants can help reverse the process as they have the potential to reverse the damage caused by free radicals and HDL. Dark chocolate contains adequate amounts of flavonols to help prevent cardiovascular diseases. Some of you out there might be worried about the fat content in chocolates. However, the good news for all you chocolate lovers out there are that cocoa butter (the fat in chocolates) comprises of oleic acid, a mono-saturated fat which increases the good cholesterol or HDL in the body. While LDL increases the amount of cholesterol in the bloodstream paving the way for arteriosclerosis, HDL serves to remove cholesterol from the bloodstream and transport it back to the liver for adequate disposal. Dark chocolate is thus a great tool to have in ones arsenal to fight against bad cholesterol. Studies also show that the flavanols present in chocolate have a dilatory effect on the cerebral blood vessels which means more oxygen reaches certain areas of the brain. The increased oxygen content in the blood vessels can help one remain alert, fight off fatigue and increase performance levels. It has also been seen that consuming chocolates might increase the brains receptive power and boost memory. Preliminary studies suggest that chocolate consumption may also protect one from degenerative diseases such as dementia and Alzheimer’s. Surprise surprise. 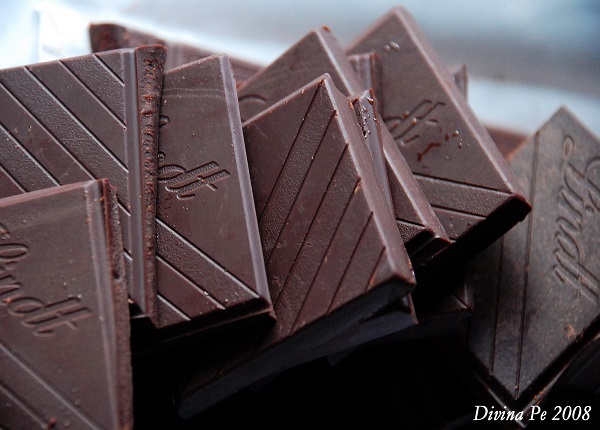 Some studies have suggested that dark chocolate doesn’t hinder your weight loss goals. It actually goes quite well with one’s weight loss plans. Having dark chocolate satisfies ones cravings and lessens ones desire for other fatty foods. If having a little bit of dark chocolate helps you stick to your diet plan, then why not go for it. Dark chocolate is a natural-antidepressant as it is seen that cocoa stimulates the brain to produce serotonin, a neurotransmitter which is responsible for inducing a happy frame of mind. It is also rich in phenylethylamine (PEA) and theobromine, both mood boosting compounds which lifts you out of a depressive mindset. In a recent study it was shown that people who ate an ounce of dark chocolate daily for about 2 weeks saw considerable reduction in cortisol, the stress producing hormone. No wonder, we feel so good after having a bar of chocolate. The probiotic bacteria in our guts have a gala time feasting on dark chocolate. They ferment the chocolate and produce anti-inflammatory compounds. These compounds when they enter the bloodstream decrease the inflammation of tissues thereby reducing the chances of stroke. Now that you know about the immense health benefits accruing from eating dark chocolate, you can go and indulge yourself with some sinful dark chocolate. However, eat in moderation as excess of anything is bad.